Ever since Apple announced its lightning connector, Pioneer head unit users have experienced a lot of wire clutter in their cars. With lightning, your iPhone usually needs an HDMI cable, Apple Digital Lightning Adapter or VGA/RGB connection kits to use your smartphone apps in your car. 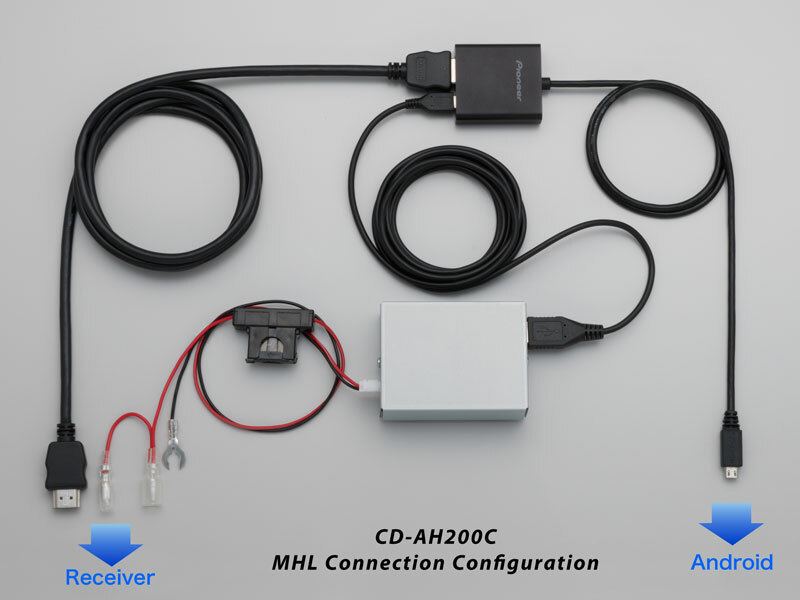 Even MHL or connections for Android smartphones require bulky cable kits. The kits usually involve a lot of different cables, adapters and such. Pioneer is going to end the misery soon though. The website Twice has posted a news story about a breakthrough connection technology that Pioneer is going to bring to its head units that will eliminate the use of cable kits. The announcement was made at the Paris Motor Show last week. More details are below. Many of you will be familiar with our quest for eliminating that wire clutter when connecting an iPhone 5 or later to an AppRadio Mode enabled head unit. Last year we looked high and low for a viable solution to be able to hide the bulky Apple adapter in the dashboard. We did manage to find the CableJive dockXtender which solved the problem at the time. But now, Pioneer says you will no longer need those bulky adapters and cables to get a smartphone to connect to one of their head units. According to Pioneer, Albata Technologies based in California is working on a new Pioneer-licensed Weblink technology which will allow users to use a simple USB cable to connect a smartphone to a touchscreen-enabled head unit. The technology will be available outside the U.S. by the end of this year. Availability in the U.S. will begin next year. Weblink technology will have to be incorporated in new Pioneer head units. According to Albata president and CEO Michael O'Shea, the company is in talks with other head unit manufacturers too. If other manufacturers opt out of Weblink they may still be able to use wi-fi or Bluetooth to achieve connectivity. Yutaka Sato, general manager of Pioneer's aftermarket car electronics business division, said that with Weblink, "we eliminate the need for specialized cabling between the in-dash unit and the phone and simplify product set up for the user."